Arkansas’ Take-Back program provides a safe and easy way to dispose of medications you no longer need. Safe disposal of expired or unneeded prescription drugs is the only way to protect your family, pets and the environment. Drug overdose deaths are the leading cause of accidental deaths in the United States, surpassing fatal vehicle accidents by nearly 18,000 deaths a year. The abuse of prescription medicines is the fastest-growing drug problem in the country, and the deadliest. Most abusers of prescriptions, especially teenagers, get the drugs from a friend’s or relative’s home. You can help change these statistics! Attend an Arkansas Prescription Drug Take Back Day event. You can drop off unneeded drugs at a local Take Back Day event, held every fall and spring in Arkansas. The next Take-Back event will be Saturday, Oct. 27, from 10 a.m. to 2 p.m. There are more than 20 event locations in central Arkansas and hundreds statewide. Arkansas law-enforcement agencies host Take Back Day events to help the public dispose of unneeded medications. The events also provide education about numerous topics related to the opioid epidemic, drug abuse treatment and prevention strategies for families, organizations and local governments. Last year in Arkansas, nearly 300,000 pounds of unneeded prescription drugs were collected and disposed of safely. Permanent secure drop off locations provide a secure drop box, like an after-hours bank deposit, that’s available 24/7. You can anonymously drop off as many unneeded medicines as you want. This simple act may prevent drug misuse, overdose or even death. For a location near you, look at this map. The permanent drop-off locations are in red and the Take Back Day events are in blue. Pollute our drinking water. Leftover medicines are toxic waste that is dangerous to people, pets and the environment. When discarded drugs get into the ground water, streams and lakes they leak into our sources of drinking water. Wastewater treatment facilities are not capable of removing all traces of drugs that have been flushed down into the sewer. Most drugs can pass through treatment plants and contaminate our surface, ground and marine waters. About 80 percent of streams in this country contain small amounts of human medicines. Crushing pills can be dangerous because it puts you at risk of drug exposure through skin contact or breathing in the dust. Many drugs are designed to release slowly. Crushing them can release a dangerously high dose. Pill dust can endanger other family members and pets. Some drugs are especially harmful to children and women of childbearing age. Cause drug abuse and overdose when found by people who shouldn’t have them. The abuse of prescription medicines is the fastest-growing drug problem in the country and the deadliest. Most (66 %) prescription drug abusers, including teenagers, get the drugs from a friend’s or relative’s home. About 42 percent of teenagers report they have misused or abused a prescription drug from their parents’ medicine cabinet. Cause accidental poisonings of children, elderly people or pets. Trash disposal is not secure for narcotics and other addictive drugs. Even if you crush drugs before throwing away, their chemical and biological activity is still present, and they can pollute our soil and water. Trash disposal that ends up in a landfill only pushes the environmental problem to future generations. The Animal Poison Control Center reports about 50,000 cases annually of pets poisoned by medicines. You may have leftover prescription medicines because your doctor stopped or changed a prescription. Or, they may be left over after a serious illness, surgery or after the death of a family member. 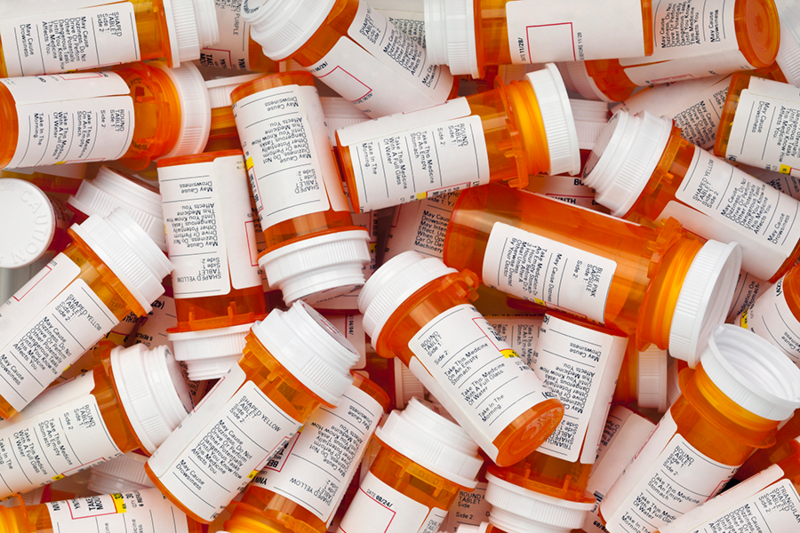 About a third of all prescription medicines that are sold go unused. Check your medicine cabinet and bring unneeded drugs to the Oct. 27 Take Back Event. The safest way to store medicines is in a locked medicine cabinet in a room that is not subject to steam or other moisture. Unsecured medicines can be taken by curious children, visitors or teenagers looking for a “buzz.” Unsecured storage in your home can contribute to the epidemic of medicine abuse and overdose deaths. Be part of the solution to the drug abuse and opioid epidemic and accidental poisonings. Secure your medications and dispose of them safely when you no longer need them.